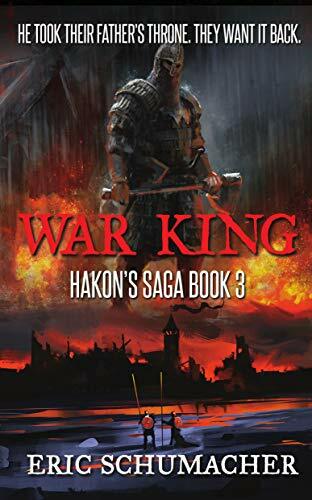 I am thrilled to share that my latest Viking historical fiction novel, War King, has won a “Chill with a Book Readers’ Award.” All books are read by an equal number of readers and evaluated on the strength of the writing and the characters, and whether the story kept them turning the pages. The collective result from all the readers of each book determines if a book is given an award or not. Learn more about the award here. There has been plenty of research and writing about the Viking Age, when it began and why it began. In this post, I wanted to take a step farther back, to what may have led to the Viking Age, and just pose some questions to think about. Read on here. The audiobook version of my third Viking historical fiction novel, War King, is now available from audible.com. 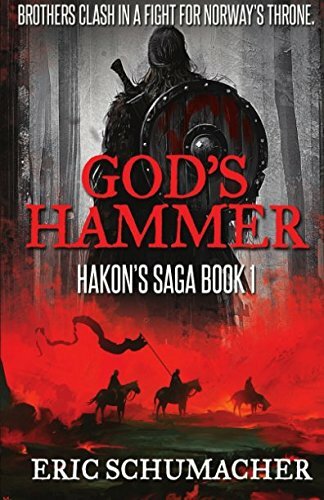 The book was published by Tantor Audio and narrated by Shaun Grindell, who narrated the first two novels in the trilogy. Want to win a free copy? Head here for more details. 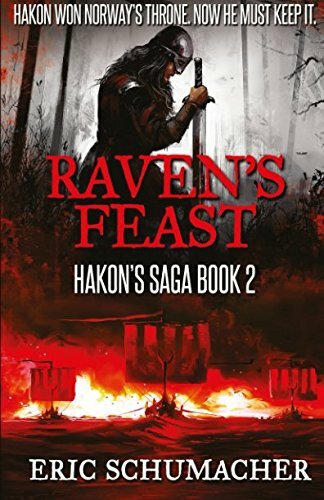 I am thrilled to share that my Viking historical fiction novel, Raven’s Feast, has won a “Chill with a Book Readers’ Award.” All books are read by an equal number of readers and evaluated on the strength of the writing and the characters, and whether the story kept them turning the pages. The collective result from all the readers of each book determines if a book is given an awarded or not. Learn more about the award here. Much has been written about the Scandinavians going viking, and how those raids evolved from attacking vulnerable targets and collecting booty and slaves, into the conquest and colonization of kingdoms. With this post, I wanted to bring your attention back to the home front, where the strife between the Scandinavians followed a similar pattern. Read more here. In my previous posts, I have focused all of my attention on Norway, and in particular, on the kings and sub-kings of present-day Norway during the 9th-10th century AD. I now would like to shift the focus east, to what was then called the Way East, or Austrvegr. Read on. The people of interest this week are Harald Fairhair’s son, Olav, and grandson, Trygvi, both kings of Vingulmark, which is the area around present-day Oslo and whose name means impenetrable forest. Read on to find out more about these men and the impact they had on Norway's history. Viking Age: Harald Bluetooth - the Builder King? This week, I am diving a bit deeper into Harald Gormsson (also known as Harald Bluetooth), one of the more industrious kings of the Viking Age. Read more.